Thank you to Val Turner, Esk, Queensland, Australia, for allowing me to reproduce this photograph of herself as Gala Queen at Colinton, around 1945. 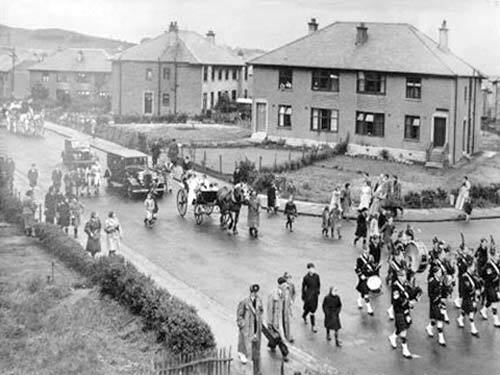 Val tells me that the procession came down Colinton Mains Road, but I don't know exactly where this photo was taken. "The photo taken of Val Turner, Esk Australia, when she was the Gala Queen of Colinton Mains, was taken in Colinton Mains Road near the junction of Oxgangs Terrace"